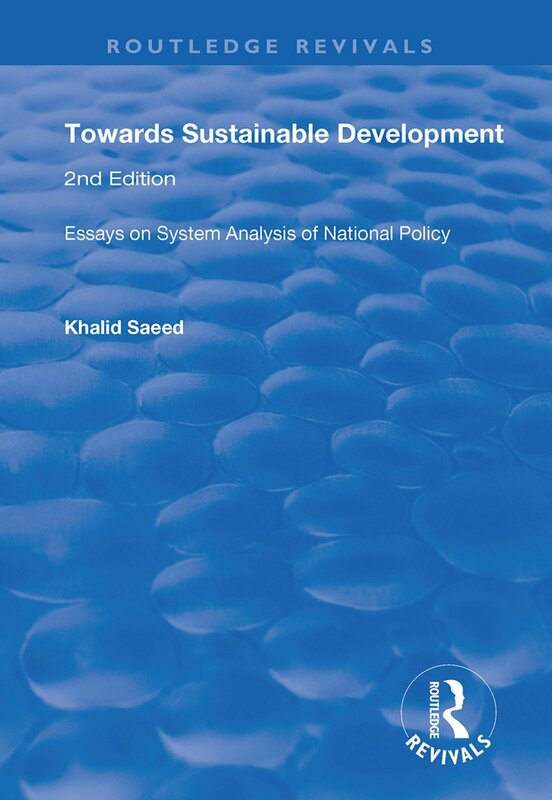 First published in 1998, this second edition includes the 10 published essays and 3 working papers collected in the first edition, as well as additional writings on sustainable development penned by Saeed and his students over the subsequent six years. Two of the original working papers were revised and published between editions and their published versions now appear. Lastly, the conclusion has been reformulated and the introduction contains insights from extended research. Part I comprises the first 7 chapters and deals with modelling generic issues concerning sustainable development. Part II comprises chapters 8 to 10 and extends the concepts from part I to the controversies on poverty and hunger, technological development, and entrepreneurship. Part III relates six case studies covering a variety of local issues in selected developing countries, including agricultural development policy in Pakistan, the impact of the rural credit system on Thailand’s agricultural economy, the problem of food self-sufficiency in Vietnam and water resources management in Saudi Arabia. The world hunger problem, do we really understand it?